Sure, you could buy that grilling fanatic on your holiday gift list a new smoker or cutting-edge grill accessory. (For some suggestions, check out our barbecuers’ gift guide.) But sometimes, the most meaningful gifts are the ones you make yourself. Homemade gifts help you stretch your holiday shopping dollars, and in inclement weather, they’re a great way to channel your inner pit master without having to don your parka or fight for a parking spot. Which brings us to one of my favorite homemade holiday gifts: made-from-scratch barbecue rubs. Simply defined, a rub is a mixture of salt, spices, and herbs used to flavor grilled or smoked meats, seafood, and even vegetables and tofu. There are two ways to use a barbecue rub. The first is to apply it right before grilling or smoking, in which case it acts as a sort of seasoned salt. The second is to rub it into the meat a few hours or even a day before you plan to cook it, in which case the seasonings partially cure the meat, resulting in a richer, more complex flavor. In America, where pit masters use rubs with greater imagination and with a freer hand than anywhere else on Planet Barbecue, rub preferences—just like barbecue itself—follow predictable regional lines. In the South and Midwest, for example, barbecue rubs play a variation on a theme of salt, pepper, paprika, and brown sugar with onion or garlic powder and/or celery or mustard seed for counterpoint. Texas brisket masters use a no-nonsense blend of coarse salt and cracked or coarsely ground black pepper (in roughly equal parts), sometimes igniting the mixture with hot pepper flakes. As you move west, rubs acquire the south-of-the-border accents of chili powder, cumin, and oregano. In my neck of the woods (Miami, Florida), rubs dance to a tropical beat in the form of sazon (a Spanish-Caribbean salt, pepper, garlic, and oregano rub from Puerto Rico) or a scotch bonnet- and allspice-blasted dry jerk rub from Jamaica. Then there are what you might call the “maverick” rubs—rubs flavored with offbeat ingredients you wouldn’t normally associate with barbecue, like cocoa powder or ground coffee. In all likelihood, you already have the ingredients you need to create a signature rub for giving. Try our recipe for Basic Barbecue Rub to get you started. 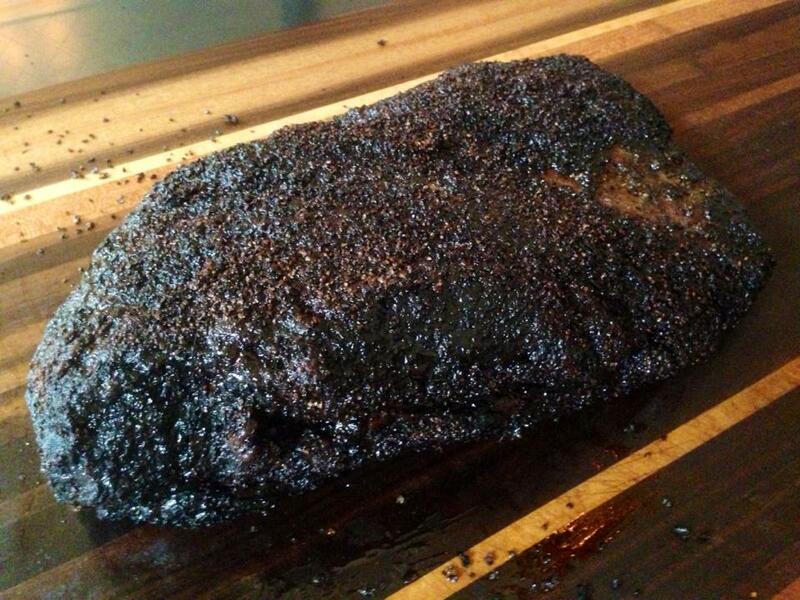 Share your own rub recipes and photos with us on the Barbecue Board.